A DWI arrest can leave you with a lot of questions and legitimate concerns, and the police are not usually likely to provide you with the most accurate information. This is why it is important to contact a Fort Worth DWI lawyer as soon as you are arrested. You have certain constitutional rights, such as the right to remain silent and the right to consult with an attorney. While the police are required to advise you of these rights, they don't always make this information clear. Your Fort Worth DWI lawyer can help you protect yourself from self-incrimination and can even help you retain your driver's license, so you can begin to rebuild your life after an arrest. The methods that police use to determine if a person is intoxicated are not always accurate or reliable. If you are arrested in the Dallas/Fort Worth area, a Fort Worth DWI attorney can find the weak points in the police case against you. This gives you the best chance at defending yourself in court after an arrest. When you need a DWI attorney, Fort Worth-area expert Charlie Burgess is ready to handle your case so you can get your life back to normal more quickly. In some cases, a previous arrest or criminal record can prevent you from getting or keeping a job. This is especially true for DWI arrests. DWI attorney, Fort Worth-area expert Charlie Burgess can work to get those prior blemishes on your record expunged so you can get the job you've always wanted. With decades of experience as a Fort Worth DWI lawyer, Charlie Burgess will always have your best interests in mind when defending you in court. Police departments and prosecutors can be extremely aggressive in court, which is why you need an ally on your side who will work just as hard as the prosecution. An expert Fort Worth DWI lawyer understands the way that criminal cases move through the Texas court system, so you are always protected by the best legal defense possible. Having a lawyer who is passionate about defending clients can make all the difference when you are facing serious charges. If you are arrested, remember that you are under no obligation to talk to the police or the prosecution. Terminate any conversation and contact your attorney immediately. You have constitutional rights that must be adhered to, and your Fort Worth DWI lawyer will help defend those rights for you. You have the right to speak to an attorney, and you have the right to prevent incriminating yourself. Even questions that seem innocent can be used against you, so don't hesitate to contact an attorney who can communicate with the police and prosecutors so you don't have to. 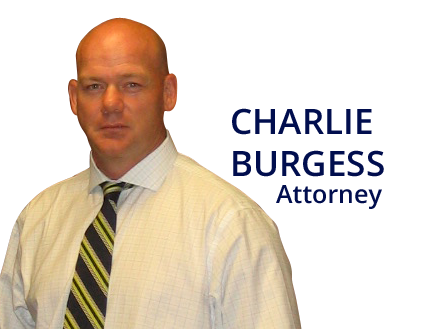 When looking for a Fort Worth DWI attorney, look to Charlie Burgess for an experienced legal expert who will work tirelessly to defend you and your rights in court. You don't have to face an arrest alone, so make sure you contact a lawyer immediately after an arrest. The sooner you hire an attorney, the sooner your defense can be prepared to keep you out of jail and help you get your life back on track. Copyright © TarrantDwi.com, 2014. All Rights Reserved.